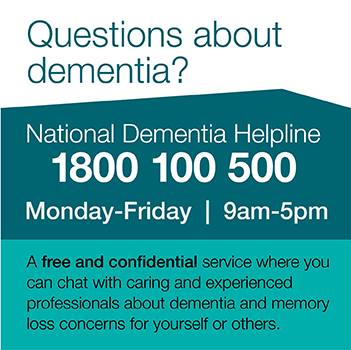 This program includes information about dementia, changes and communication, as well as the loss and grief associated with becoming a carer. We discuss how to create an environment to facilitate the caring role as well as maintaining and getting support as a carer. The program runs over three weeks. Gain information about the symptoms of dementia and the changes in functions and how these changes impact on your family member. Learn skills to manage the changes in behaviour and abilities of your family member with dementia. Find out about how to draw on supports including family, friends and community services. Suitable for: The program is offered as a small group session where participants will be encouraged to share their experiences and listen to and support others.